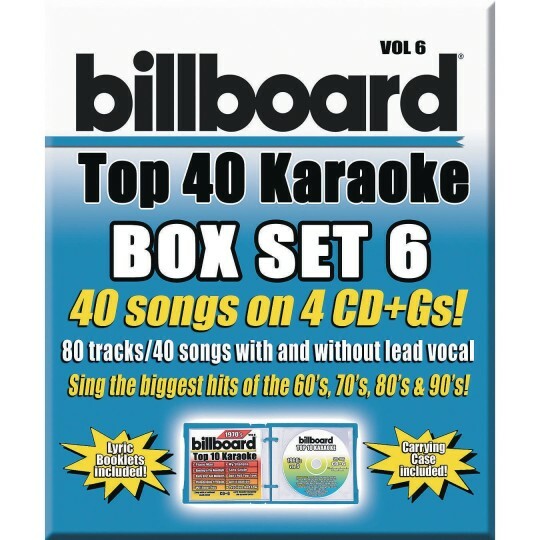 This 4 CD+Gs set features an assortment of 40 songs from the 1960’s, 70’s, 80’s & 90’s with and without lead vocals, to help the singer learn the songs. CD+Gs include graphic scripting, which allows song lyrics to appear on a TV screen with the use of a CD+G karaoke machine. Lyric booklets are also included. Great for parties!